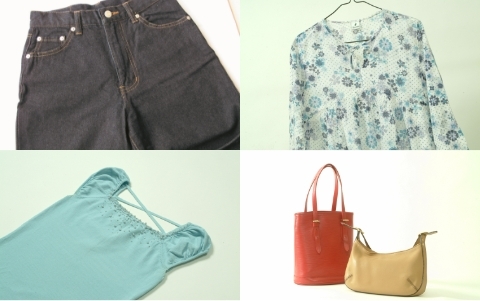 Top-global-share products used in 180 countries around the world. 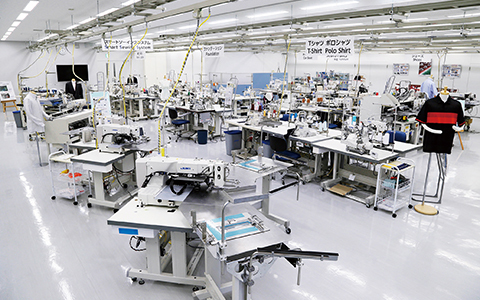 JUKI’s industrial sewing machines sew “stitches” for products in every field, from apparel products, sportswear, shoes, and bags to car seats. 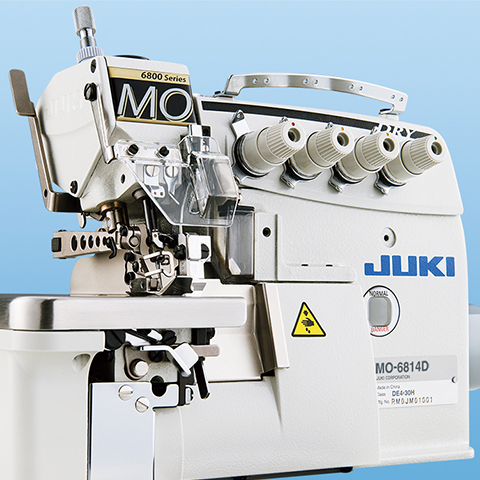 The stitching capability of JUKI’s machines supports the global sewing industry. 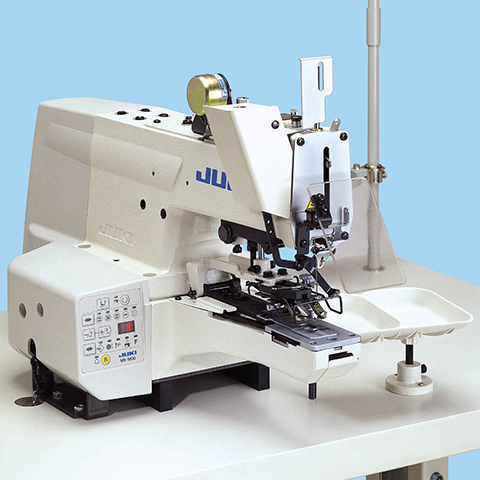 JUKI manufactures various types of industrial sewing machines to perform diverse functions. 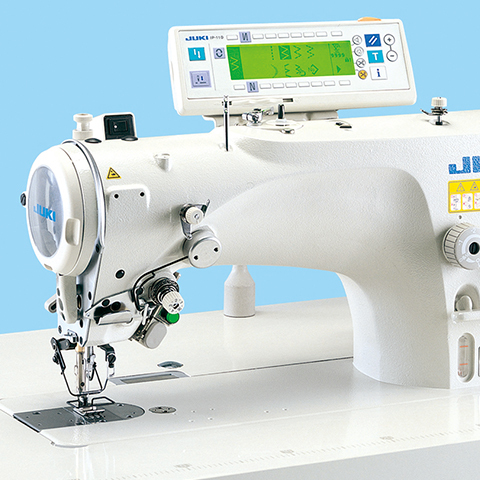 A needle thread and bobbin thread are threaded through every needle. 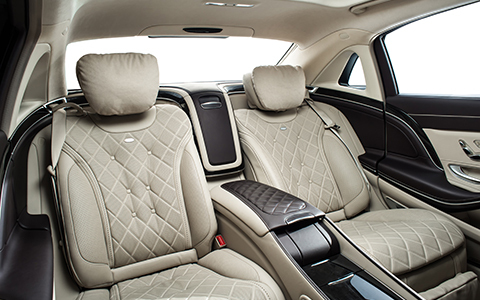 The front fabric and back fabric are stitched in the same way. 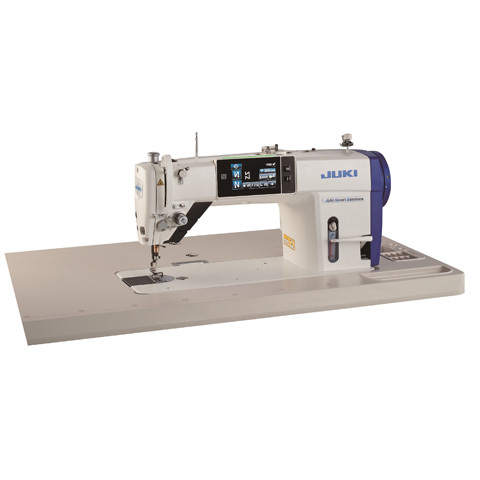 Lockstitch sewing machine DDL-9000BThis is a fundamental sewing machine used to stitch two pieces of fabric together for the sewing of a dress shirt, suit, or woman’s garment. 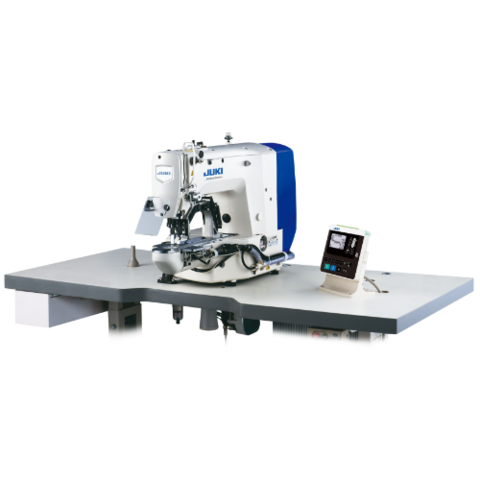 Zigzag stitching machine LZ-2290AThis machine is designed to reliably stitch two or more pieces of fabric together with minimal fraying at the seams. 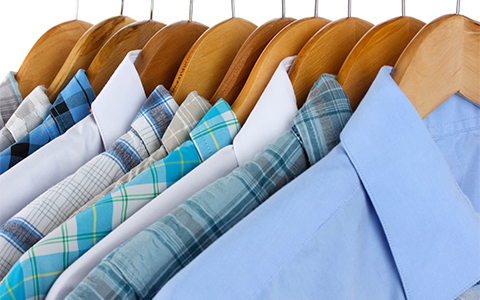 The principal uses are women’s undergarments and jackets. 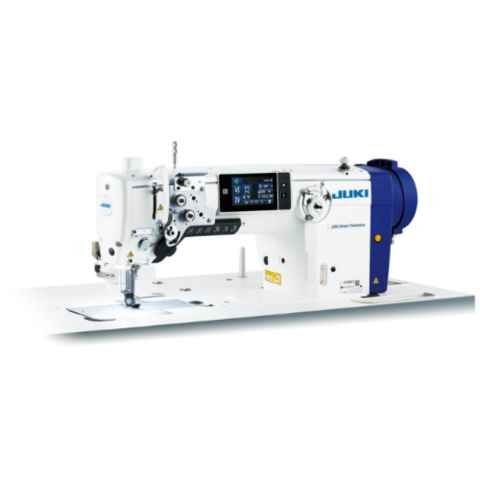 A single thread is stitched under the fabric in a chain-like pattern to create a knit-style seam. 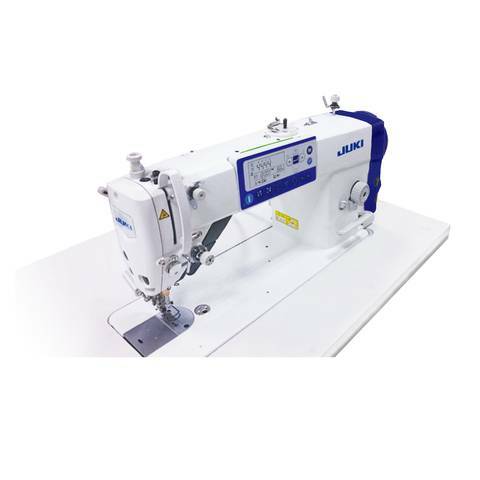 Lock sewing machine MO-6800DThis sewing machine is also widely applied for underwear and sportswear because it effectively sews overlock stitches for the seams of products formed with stretchable fabrics. 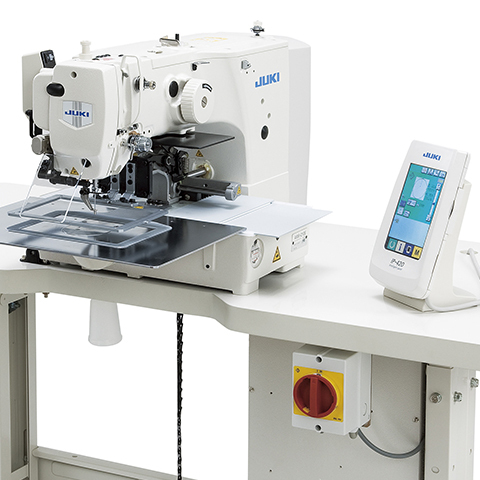 Button sewing machine MB-1800AButtons are sewn using various stitch patterns. 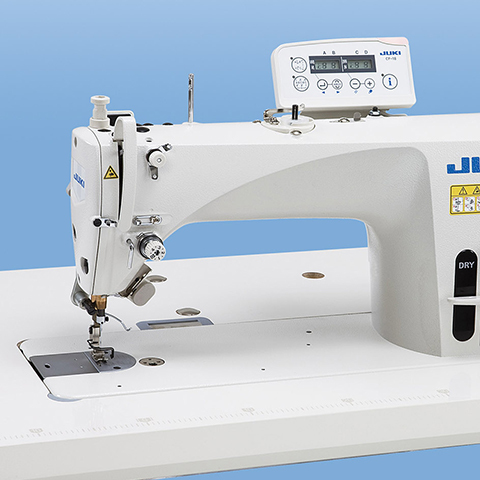 This machine is a workhorse for sewing buttons in many types of clothes. 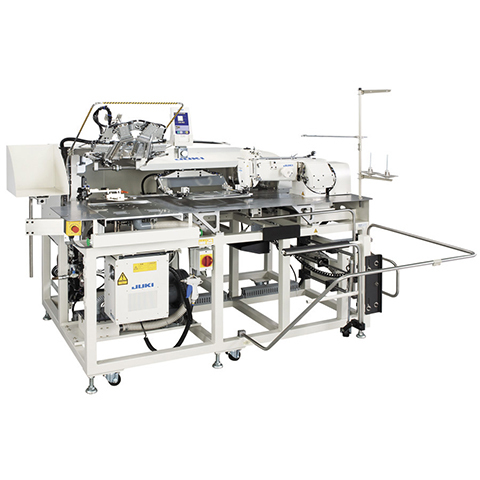 This sewing machine fully automates two or more processes to handle hand sewing, scissor cutting, fabric folding, and shirring. 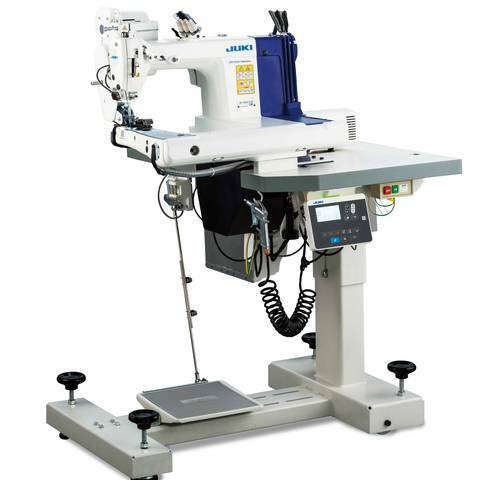 Pocket setter AP-876This sewing machine fully automates the time-consuming pocket-setting process for jeans. 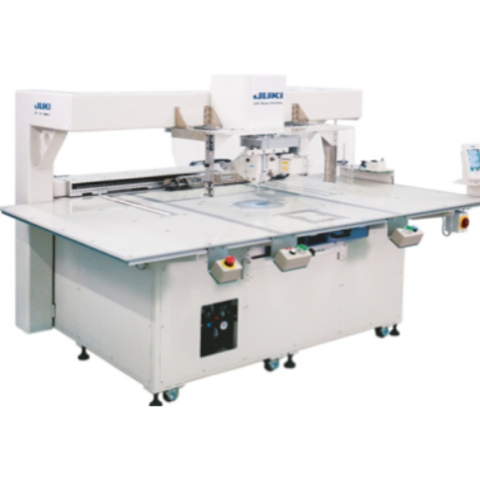 Computer-controlled cycle machine AMS-210ENThis machine automatically sews pre-programmed patterns for the setting of labels or emblems in addition to decorative stitching on pockets.